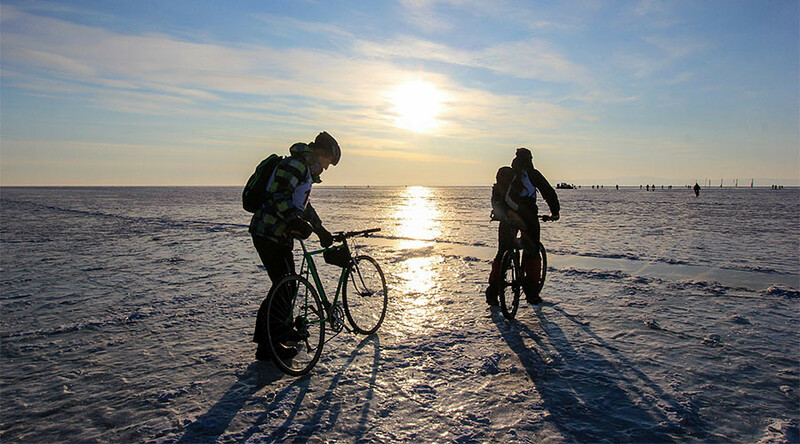 After three grueling days traversing the frozen surface of Lake Baikal – the world’s deepest – on bicycles and ice-skates, only two thirds of the entrants in Russia’s Ice Storm race made it to the finish line. The 40 Russian and 30 Dutch participants in the competition had to cover 205 kilometers in three stages over the course of three days. A blizzard during the second day of the race was so strong that some entrants were forced to quit without finishing. “A snow storm started. The wind was very strong. One third never made it that day. We had to take those sportsmen to the finish line using special transport,” the head judge of the games, Aleksander Zhilinskiy, told Vesti-Irkutsk. Both the ice skating and bike races were won by locals from the city of Irkutsk, which is near Lake Baikal. Ivan Timofeyev came in first in the skating race and Aleksander Ulitinov took the prize in cycling for the fifth year in a row. Both completed the race in just over a total of 10 hours spread over three days. 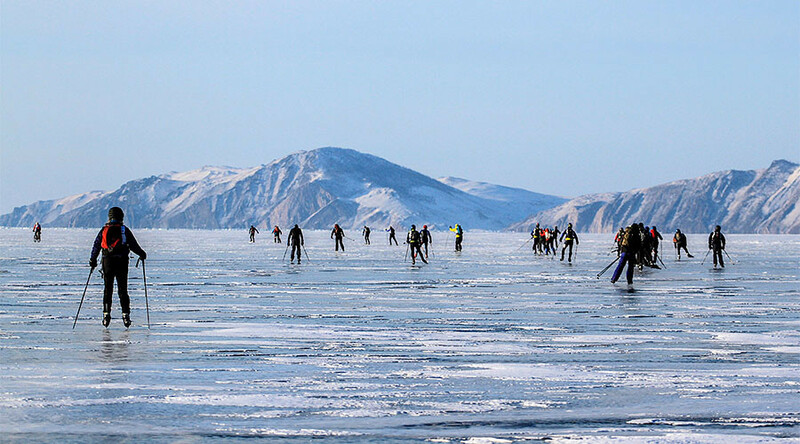 A ski race had also been planned, but the event had to be canceled because not enough entrants were found brave enough to take on frozen Baikal in the Ice Storm competition. One of the cyclists fell under the ice, AS Baikal TV reported. Although he made it out safely, all of his clothes were wet, so he couldn’t continue. Rescuers were ready to help at any stage of the race. “I thought I had enough stamina. But it turned out I wasn’t skilled enough to ride on ice. I only got a grasp on it during the third day,” bike rider Nina Borisenko confessed to AS Baikal TV. “During the first day, I just kept falling over all the time, my whole body is covered in bruises,” she added. Lake Baikal in Siberia is the largest freshwater lake in the world by volume. In the winter, temperatures there regularly drop below -30° Centigrade (-22°F). 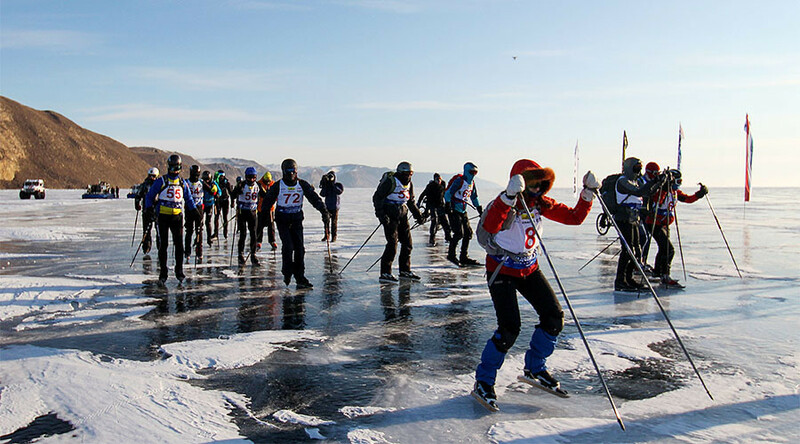 Ice Storm, which includes separate bicycle, ice skating, and ski races, made its debut in 2013 and has been an annual Baikal event ever since. Anyone can apply to take part by filling out an online registration form.